The NAYADA Company carried out a large amount of work to equip an office for a state corporation. 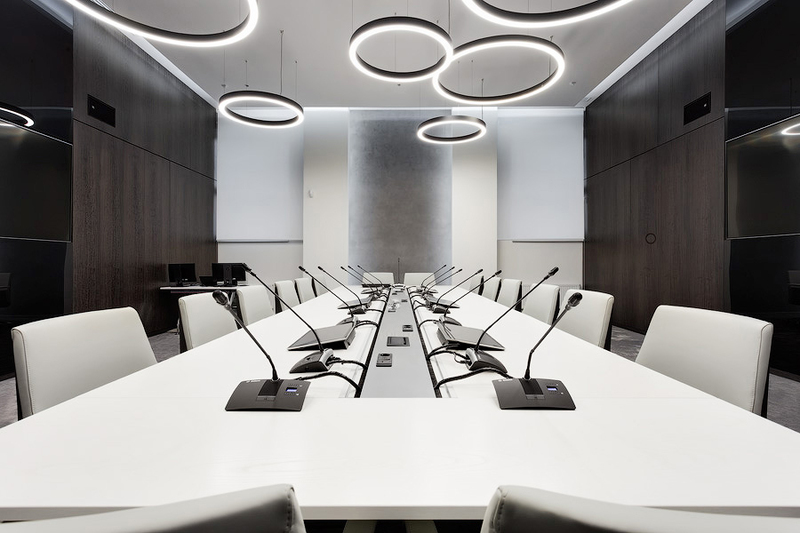 Since the main task of this Corporation is to ensure Russia maintains its technological advantages, the customer chose to go in the direction of high-tech solutions and a strict laconic interior when equipping its own office. The project architect is Pyotr Kharlamov. 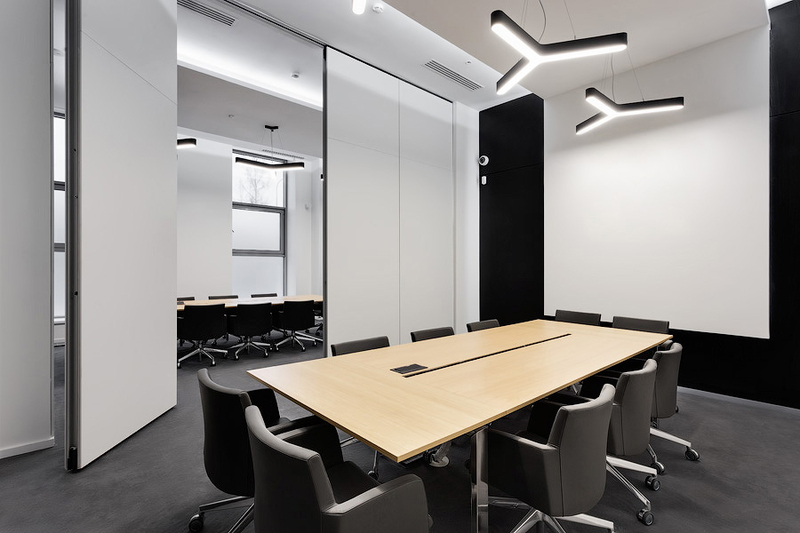 NAYADA furniture products are widely used in the private offices – built-in wardrobes, wall and door finishing with lacquered frosted glass, and NAYADA-Regina decorative veneered panels. The doors were placed inside hidden frame NAYADA-Stels, with veneer under the wall panels. 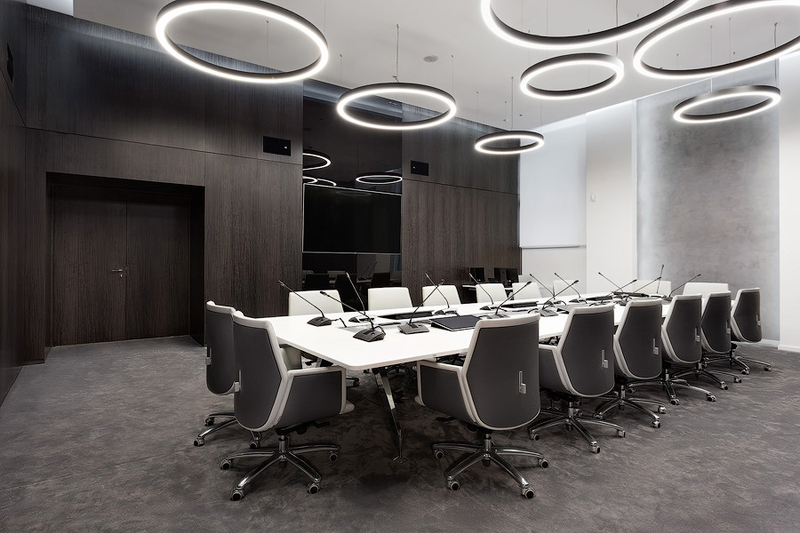 For the conference hall, private offices of government officials, halls, and other VIP rooms, NAYADA manufactured and assembled various wall panels – glossy and matte glass panels, NAYADA-Regina blind panels with veneer and painted, and ceiling panels. The total area of the panels added up to 880 square meters! When working on the project, several types of 3D panels were designed, including ones with illuminated logos; niches for TVs, speakers, and video cameras; lath ceilings with built in lamps; hatches; perforated panels for radiators, and many other elements. Under the hinged TVs and logos, mounted reinforced frames were made. For the offices of mobile correspondents and VIP-cafes, metal lath ceilings have woodgrain finishing. 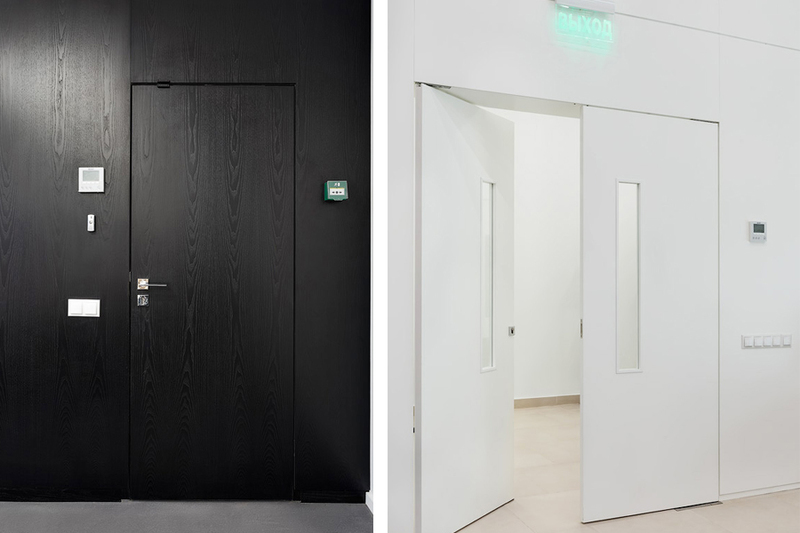 NAYADA manufactured a huge amount of non-standard furniture – from wardrobes with Stels doors to reception desks, while a lot of elements were used for the decoration – 4 types of veneer, 2 varieties of paint. To connect the individual elements, the Regina panel system was widely used. The project implemented a lot of high-tech "little things". 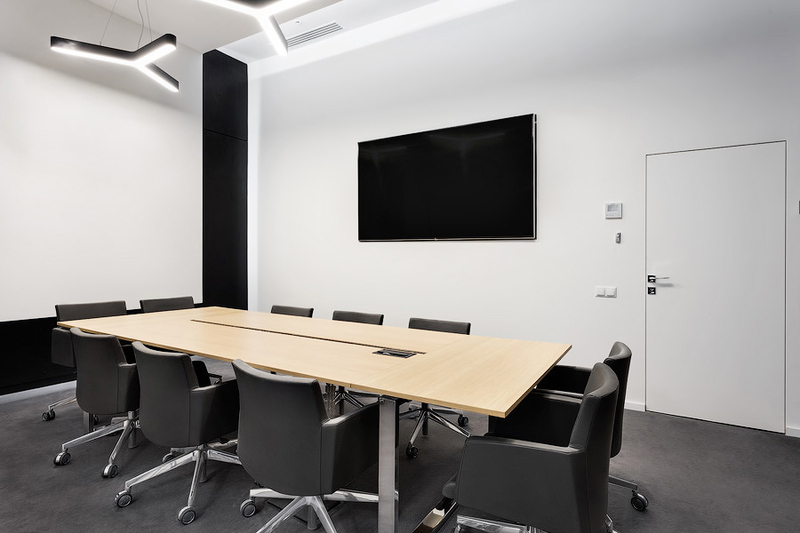 NAYADA-SmartWall sliding partitions were used to transform the meeting rooms. 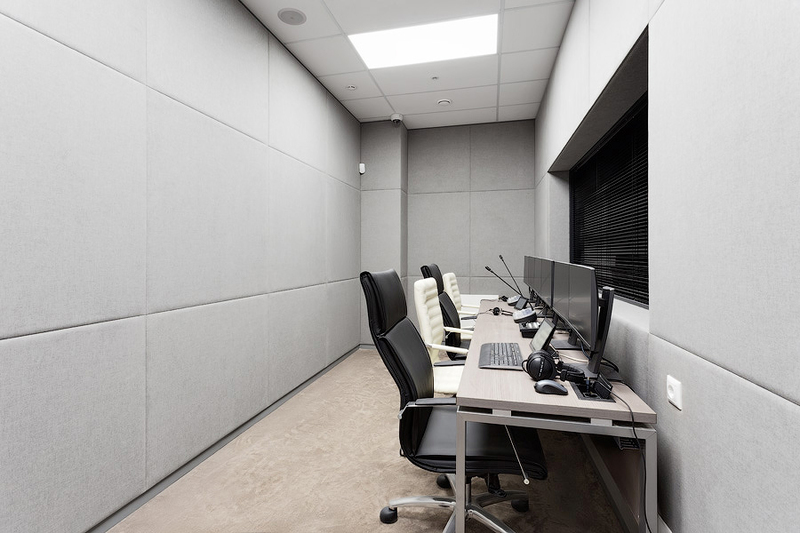 For the acoustic isolation of the rooms of synchronized interpreters, wall panels and door leafs with sound-absorbing cloth finishing were used. A variety of door blocks of different configurations were designed, manufactured, and assembled; types of openings (single-ended, double-pole, pendulum); finishing (including with different finishes of the sides); types of door frames (conventional telescopic and concealed mounting Stels), and purposes (fireproof and with enhanced sound insulation).